With the vernal equinox (first day of spring) less than a month away, it’s difficult not to think of warmer temperatures. It was rather disappointing, then, to wake up to a thermometer reading of several degrees below zero this morning. And while this is nothing too unusual for late February, I think most of us in southern Minnesota are anxiously awaiting a nice string of days in which we don’t have to worry about frostbite. The forecast for the next ten days predicts high temperatures in the low 30’s by early next week, so we should begin to see some more consistent snow melt as we enter March. The question on most Minnesotans’ minds, of course, is how fast all that snow melt will occur. The Fargo/Moorhead area in the northwest has already begun preparations for another massive flooding event (with good reason), and even the St. Paul airport is concerned that the Mississippi River might overflow its banks onto some of the runways. Here in the Minnesota River Valley there is the usual talk of spring flooding, but with last fall’s rains doing a good job of filling up the river prior to winter there is a bit more concern that melting snow will cause the river to significantly overflow. At this point it all depends on the temperatures we experience in the coming weeks; if the first few weeks of March are consistently in the 30’s and only warm gradually, then flooding may be minor and manageable. But if temperatures take a jump into the 40’s and even 50’s, causing rapid snow melt, then we have a greater reason for concern. Additionally, any rainfall we get in March is likely to exacerbate a flood. 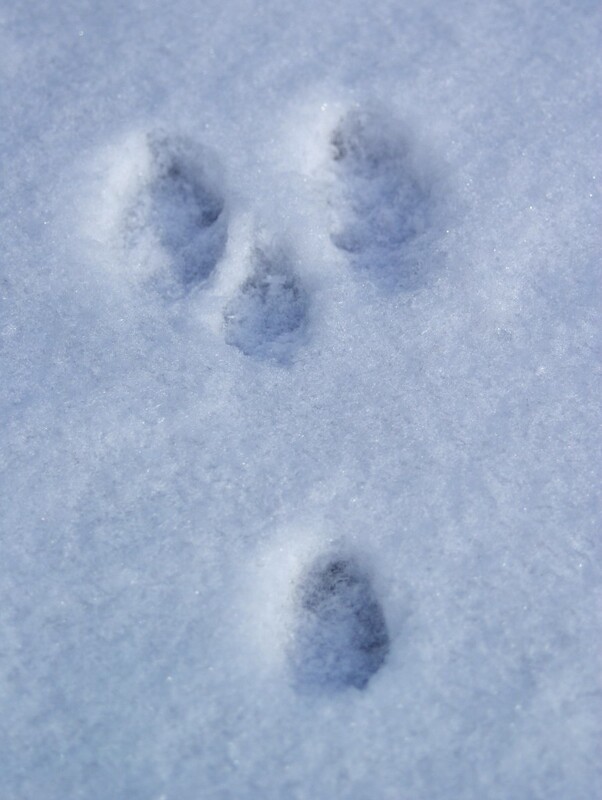 Eastern Cottontail tracks near willows surrounding Jones Northern Forest Ponds, 2/25/10.